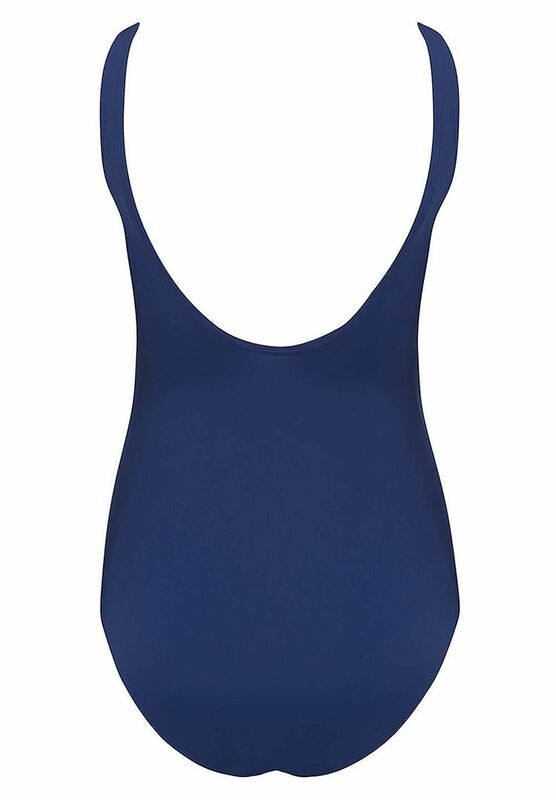 Simple yet stunning chlorine resistant swimsuit. 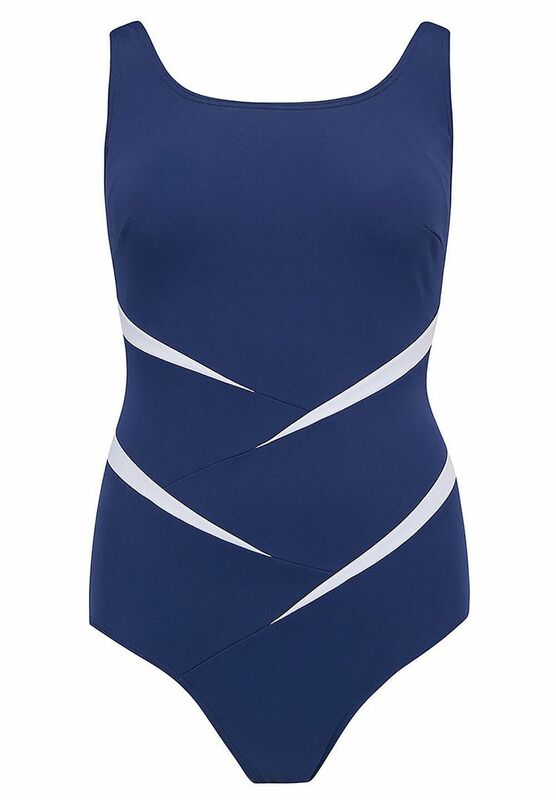 Blue with white piping, on the diagonal, creates a textured appearance with very flattering lines. Cleverly designed polyester material will resist salt and chlorine damage.